Few things have the potential to be as much of a force multiplier for community supervision as effective remote supervision. 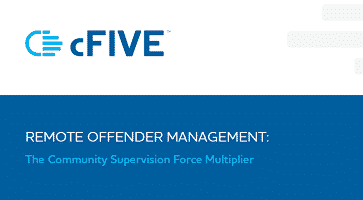 Where is your force multiplier in community supervision? For many community supervision agencies growing caseloads impede the ability to focus on the needs of high- and medium- risk offenders. Can remote supervision management be the “force multiplier” agencies need?